The Montgomery Arts House for Music and Architecture is nestled in the beautiful foothills overlooking Zuma Beach in Malibu, California, and is home to extraordinary classical music, silent film with live music, and classical/modern dance performances in a unique space designed by Eric Lloyd Wright, grandson of the "Father of American Architecture," architect Frank Lloyd Wright. This extraordinary space was designed specifically for music performance and recording, and offers three separate venues within the home. Programming at MAHMA includes a monthly chamber music series, world-class chamber orchestra performances, collaborative chamber ballet, a vintage silent film festival with live music, and the Malibu Coast Music Festival each summer. Resident professional ensembles and hosted educational organizations include the Malibu Coast Chamber Orchestra conducted by Scott Hosfeld, the Malibu Coast Music Festival, the Malibu Chamber Players, the Malibu Coast String Quartet, Viklarbo Chamber Ensemble, the Malibu Madrigals, the Malibu Coast Silent Film Orchestra, the Malibu Coast Bell Choir and Percussion Ensemble, the Malibu Coast Chamber Ballet, the Malibu Coast Children's Choir, and the Malibu Coast Youth Symphony. World class artists and speakers are a part of each program, challenging listeners' hearts and minds, and stimulating their intellect through conversation with discussions about the music, performances and related topics chosen for each program. 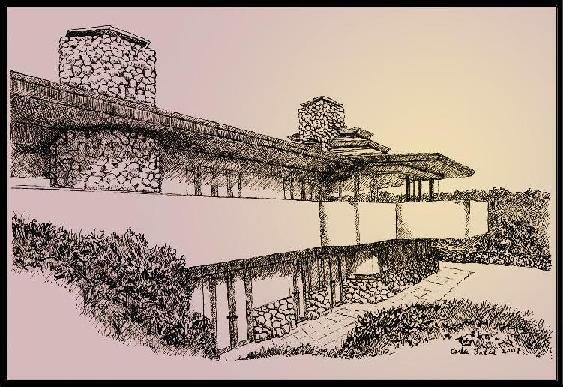 The Malibu Friends of Music is the non-profit arts organization which sponsors the concert series, silent film series, dance programs, festivals and educational programs held at MAHMA and in other architecturally novel locations. The Malibu Friends of Music events hosted at MAHMA and in other novel spaces, are designed to put audiences in touch with world-class performers and speakers on an interactive level.